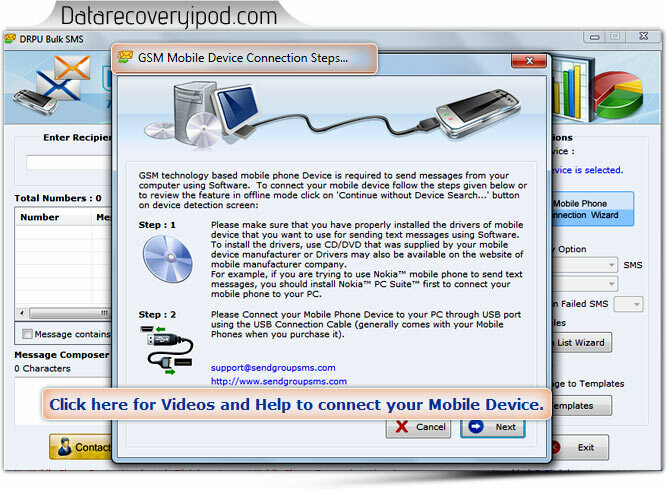 Bulk Text Messaging Software for GSM based Mobile Phones is used to send bulk text messages from PC to group of mobile phone via using commonly used GSM technology enabled mobile phone. Text messaging utility is used to compose and send sms with simplified messaging procedure. You only need to type the message and enter recipient contact details (or load from a contact file) and in one click broadcast hundreds of short sms right from your PC.